Well, folks, the 2018-19 NBA season is in the books, and that means most of the rookies we’ve been following in these rankings all season will be embarking on their summer programs to try to improve their games. With that in mind, it’s time to turn our attention to the Rookie of the Year race. 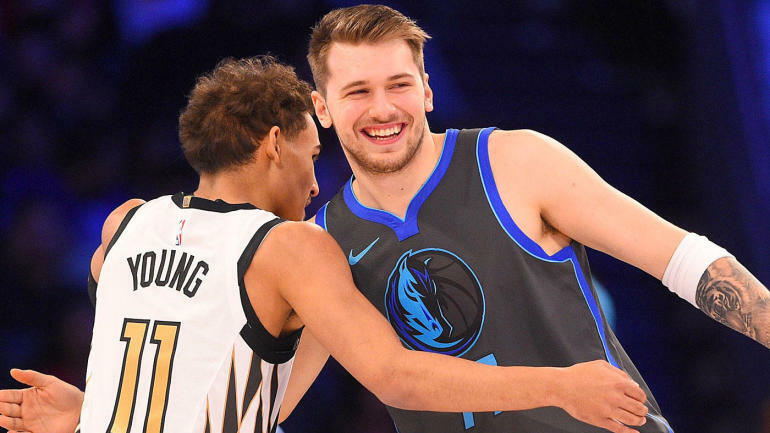 As you could tell if you paid attention to the Rookie Rankings, this season’s class was dominated by Dallas Mavericks guard Luka Doncic and Atlanta Hawks guard Trae Young, the former looking like the runaway Rookie of the Year winner early, with the latter closing strong with unbelievable, clutch performances. In the end, Doncic and Young finished very close, but Doncic wins out as our Rookie of the Year pick for reasons outlined below. Whereas the season-long rankings were a heat map of which players had the best week, this version takes into account the season as a whole and ranks the top 10 rookies. As you can see, this class is incredibly deep and goes well beyond Doncic and Young, who were the rookie faces of the season, but remarkably might not even end up being the best players in the class. Here are the 2018-19 season’s final NBA Rookie of the Year Rankings.